The 2017 Centers of Excellence for Influenza Research and Surveillance (CEIRS) Annual Network Meeting, hosted by Emory-UGA CEIRS in Atlanta, Georgia, marked the 10th anniversary of the CEIRS Network. The meeting kicked off with presentations highlighting notable contributions to influenza research, molecular virology, and avian and swine surveillance from a decade of work, paving the way for perspectives on future opportunities. Center Principal Investigators recapped accomplishments, and working groups presented progress on current projects. 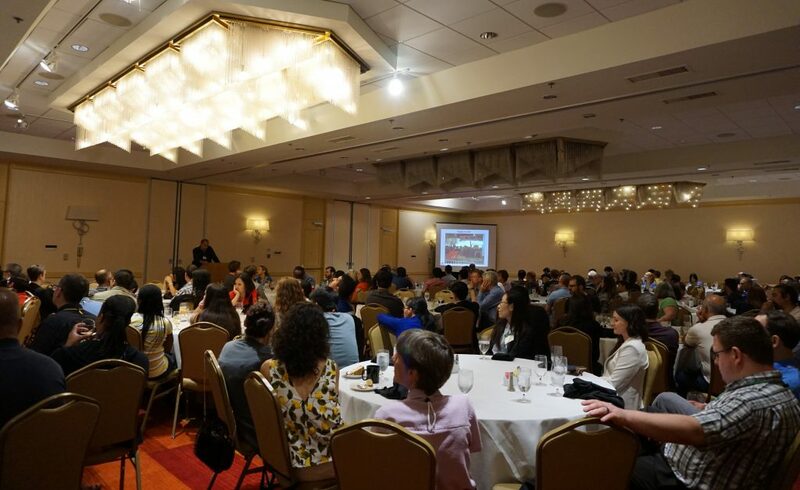 Participants shared updates through panel discussions, short presentations, and poster sessions, enabling scientific exchange and Network-wide collaborations. Attendees listen in on the contributions of CEIRS to influenza research and surveillance from the past decade. The meeting focused on advances achieved through research and surveillance across the Network with presentations throughout the three-day meeting that highlighted the integration of new technologies and development of novel reagents and tools. With advances in glycan arrays, shotgun glycomics, and CRISPR/Cas gene editing technology, scientists are making progress on the characterization of the lung glycome of several species. This suite of carbohydrate molecules decorating the surface of the respiratory tract influences which viruses can cause disease in different hosts, a critical factor when assessing the risk of influenza strains to humans. Other presentations demonstrated the value of new model systems that better recapitulate how human populations and other hosts respond to infection. New technologies that track individual viral particles are being developed to study viral evolution and aerosol transmission. Finally, advances in sequencing capabilities are allowing scientists to more rapidly and more descriptively examine viral evolution and spread. The meeting even included a live demonstration of influenza virus sequencing using the portable Oxford Nanopore minION sequencing technology during a poster session. 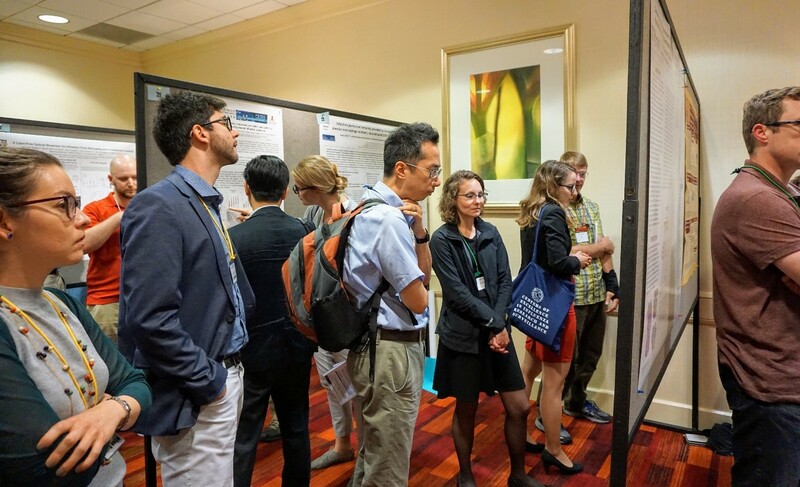 Poster sessions featured the outstanding work of CEIRS investigators, postdoctoral fellows, and graduate students. A second theme of the meeting was the Network’s role in pandemic response, and it was clear from discussions that CEIRS provides diverse expertise and a collaborative infrastructure to enhance global preparedness and resiliency to a potential flu pandemic. Dr. Michael Osterholm, part of the St. Jude Center of Excellence for Influenza Research and Surveillance (SJCEIRS), debuted the CEIRS Pandemic Plan, which details the specific contributions the Network can make to support pandemic response efforts. Several researchers presented updates on recent outbreaks of highly pathogenic avian influenza (HPAI), including the circulation of HPAI H5N8 in wild birds, and the recent wave of H7N9 in China, with discussion of spill-over infections in people. Investigators also presented an update on a recent risk assessment exercise to characterize novel influenza viruses. This test-run aimed to determine how quickly CEIRS Centers could generate key scientific information about emerging viruses and demonstrated their capabilities as a valuable component of a rapid global response to future pandemics. Finally, universal influenza vaccines were a topic of continued discussion throughout the meeting. The keynote lecture from Dr. Jonathan Yewdell touched on the factors driving dominant antibody responses to influenza and evolutionary modifications to viral surface proteins, both of which are critical for informing the development of a universal vaccine. Given the ever-evolving threat of seasonal influenza and pandemic outbreaks, development of a vaccine capable of protecting against most influenza strains would be a public health triumph. Gaps in the scientific understanding of what constitutes an effectively conserved epitope, mechanisms of immune protection, existing diagnostics, and available models were identified, and the ongoing collaborations with the National Institute of Health-funded Vaccine and Treatment Evaluation Units (VTEUs) and industry partners were highlighted. With a concerted effort underway, CEIRS investigators can contribute with expertise and streamlined mechanisms to collaboratively develop and distribute critical reagents. CEIRS researchers and affiliates network at the Fernbank Museum following a day of scientific discourse. CEIRS investigators will convene twice more in 2017: the annual CEIRS Surveillance Meeting, taking place in the Netherlands, and a second meeting dedicated to advancing the universal influenza vaccine initiative and the generation of vaccines that provide broad and lasting protection against influenza.